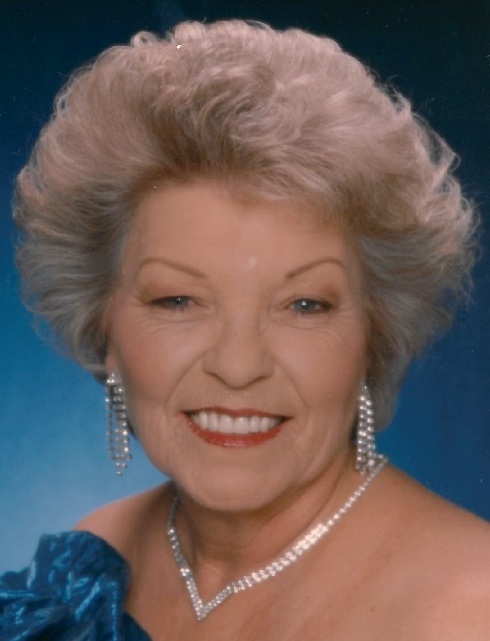 Carolyn Harrison, 78, of Paradise passed away peacefully in the comfort of her home Tuesday, October 23, 2018 she was surrounded by her loved ones. Graveside service is 11:00 a.m. Saturday, October 27, 2018 at Boyd Cemetery. Family will receive friends 4-6 p.m. Friday at Hawkins Funeral Home in Boyd. Carolyn was born on December 21, 1939 to Jack and Stella (Massingill) Bauerle in Dallas, Texas. She was married to her beloved husband Johnny Harrison of Wichita Falls, Texas for 42 wonderful years. Carolyn never met a stranger everyone that came in contact with her was mesmerized by her beautiful personality. If you were her friend you were considered and treated as “family”. Her hobbies included bowling, dancing, golf, pool, fishing, plus many more. Most of all she loved babies. Carolyn was retired from the banking industry. She was preceded in death by her mother, Stella Franklin; her father, Jack Bauerle; her sister, Joyce Kennedy; her brother, John Bauerle; son and daughter in law Billy and Kim Herrell. Those left behind to cherish her memory are her husband of 42 years, Johnny Harrison of Paradise; her daughters, Sheila Marshall of Paradise, Debbie Parish of Paradise, Julie Colby and husband Jason of Oklahoma City; her sons, David Herrell of Lubbock, Michael Harrison of Paradise; her wonderful grandchildren, Ashley and Amy Tamvakis, Amberly Herrell, Taylor Castleschouldt, Rachel Durham, Tracie Little, Carrieann Bridgeman, Colton Myers, Andrew Herrell and Courtney Smith; 21 great grandchildren; 2 great great grandchildren; numerous nieces, nephews, cousins, and a host of friends. Carolyn’s generous loving and bubbly personality will be greatly missed by everyone she touched in her life.